Do you have problems biting or chewing? Concern over your appearance? Multiple areas requiring treatment? 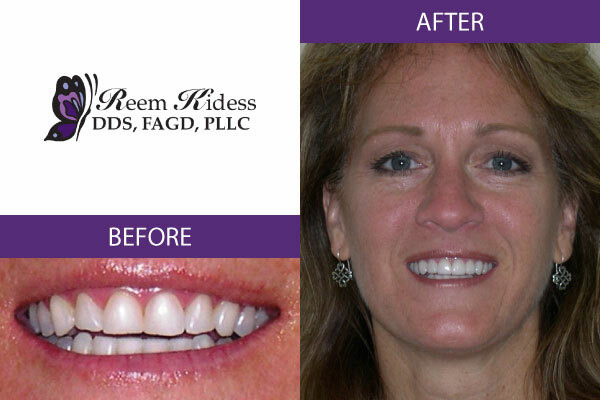 A smile makeover is a transformative process addressing oral and cosmetic concerns concurrently. 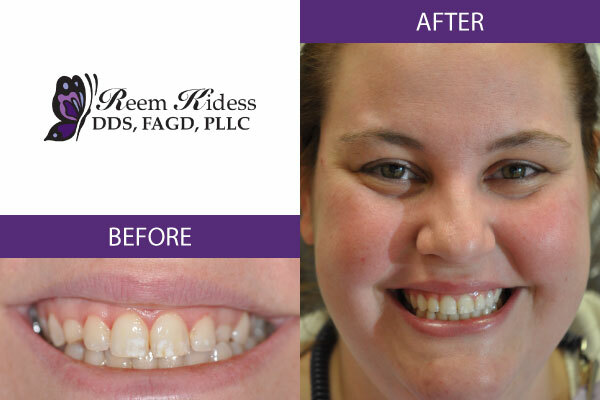 Though often completed in phases, smile reconstruction procedures are designed to work together toward one ultimate goal – a bright, beautiful, healthy smile that lasts! The diagnostic wax-up is a model that gives you a preview of how your final results will appear. The wax-up is made from a model of your teeth. 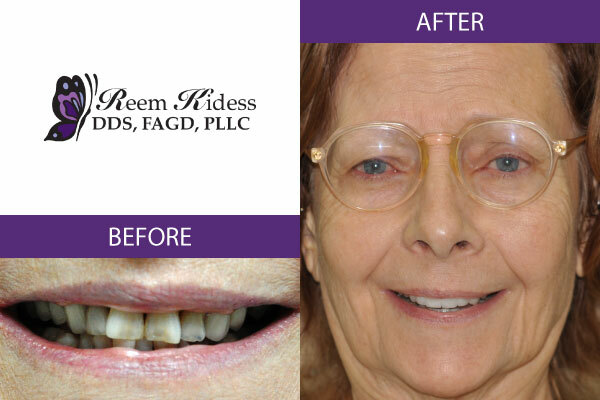 Dr. Kidess will talk with you in depth about your desired goals with your new smile. 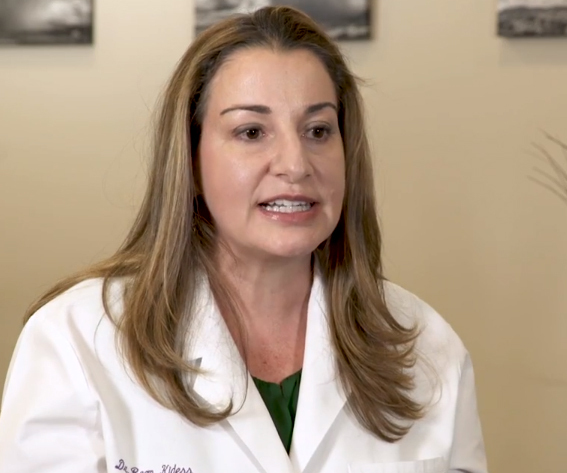 Accurate impressions are taken, along with photographs and Dr. Kidess then creates a detailed prescription to her dental laboratory technician with the planned changes and treatment plan. With all of this information Dr. Kidess in conjunction with the dental laboratory technician will construct a diagnostic model in wax of your new smile – thus your will be able to see the actual shape and design of your teeth after treatment. 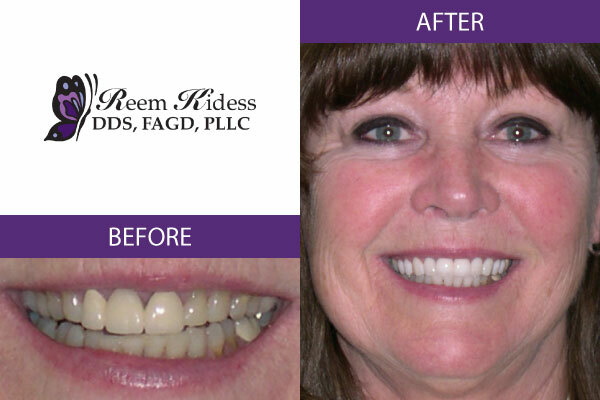 It is essentially a model of what your completed dental work is going to look like. The diagnostic wax-up provides the template to guide your dental treatment, whether it be for a dental implant(s), veneers, crowns or full mouth reconstruction. 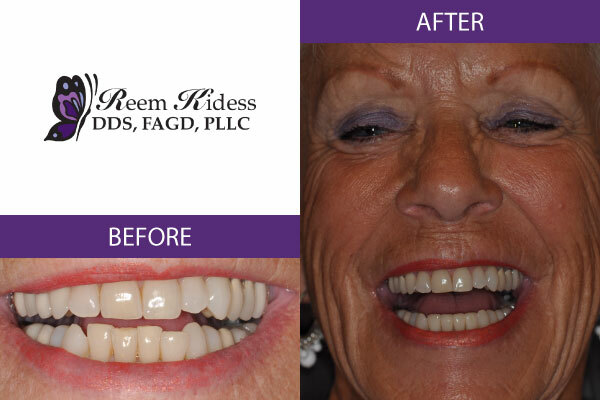 Our office utilizes the state-of-the-art Cone Beam Computed Tomography (CBCT), which is a sophisticated 3-D imaging system used by Dr. Reem Kidess for the planning stages of your dental implant treatment. Unlike regular x-rays, or most other types of imaging, CBCT scans can obtain clear and precise three-dimensional pictures of the bone structure, vital anatomical structures and soft tissue. CBCT performs this imaging function with the least amount of distortion when compared to other imaging methods. 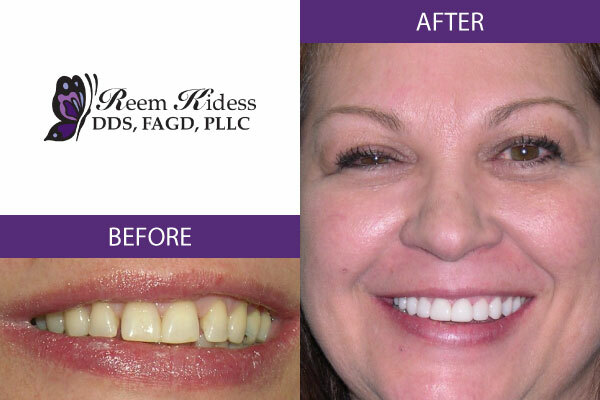 A smile makeover can include many or just one treatment, and we offer and extensive list of other services to enhance your smile and its function. 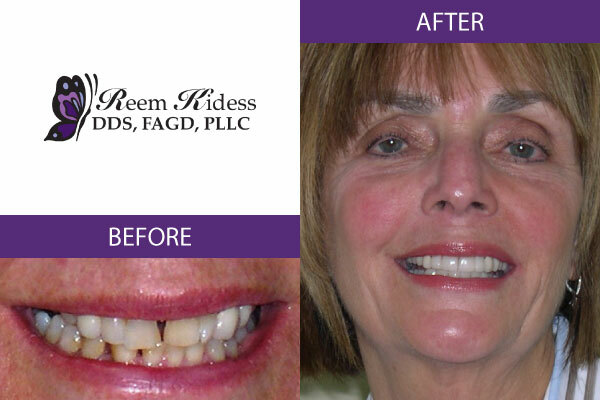 Dental implants are the next best thing to your natural teeth and are a permanent solution to tooth loss. 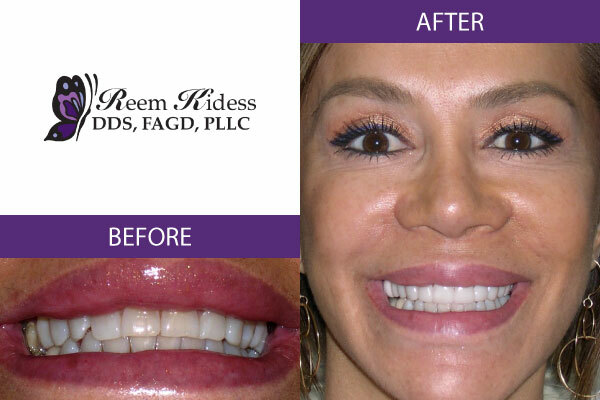 We offer both traditional and prepless dental veneers. 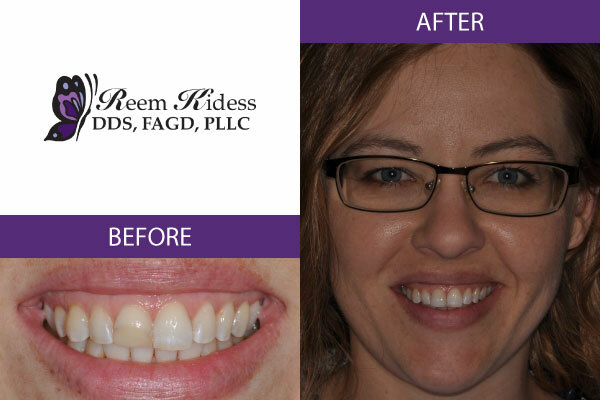 Dental veneers are made from a thin piece of porcelain or ceramic material formed into custom shells and then bonded to your teeth. .
We offer both in-house and take-home professional teeth whitening kits to address stained and discolored teeth. With CEREC technology we can create a custom crown or veneers to restore cracked, chipped or decayed teeth in just one visit. 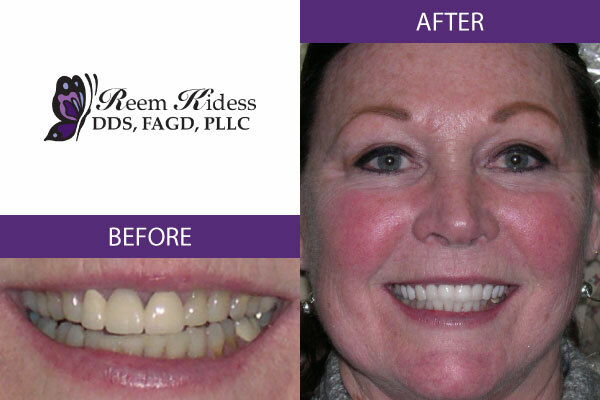 Restore the health of your smile with effective treatment options, including minimally-invasive laser therapy. 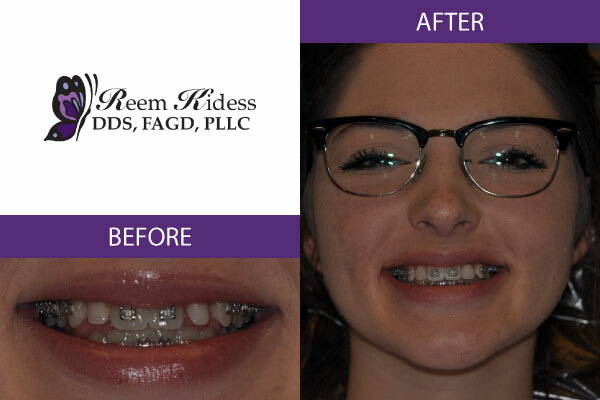 To correct crowding, spacing, and misaligned teeth we offer metal-free, clear aligners. 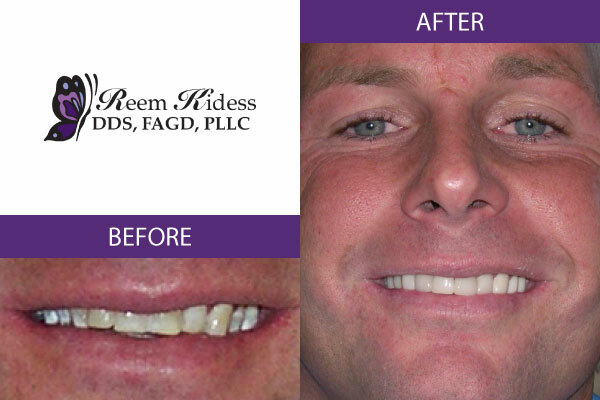 Our goal is to save your natural teeth whenever possible, but sometimes an extraction is necessary. With our experienced care you will receive gentle treatment. To save a tooth from requiring extraction, a root canal is sometimes necessary to clean infection from inside the tooth. TMD (temporomandibular joint disorders) can cause jaw pain, clicking and headaches. We have several techniques to reduce discomfort. 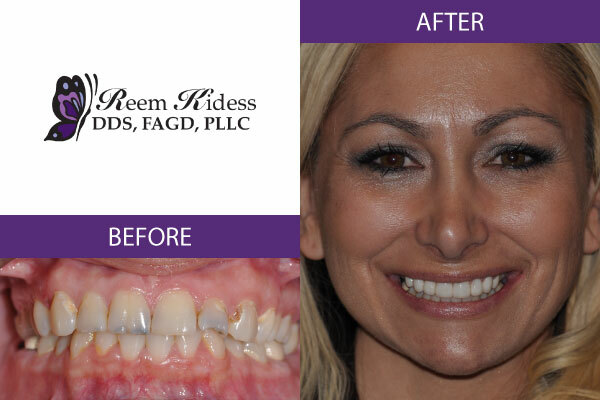 With 22 years in practice and training with esteemed institutes including The Dawson Academy and Spear Education, Dr. Reem Kidess is dedicated to achieving exceptional oral health and cosmetic results through a multi-disciplinary, comprehensive approach. 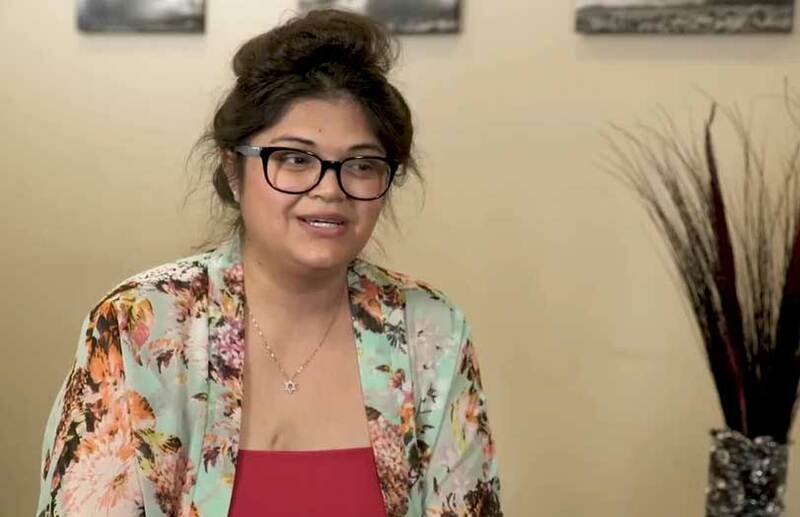 She and our compassionate, experienced team are renowned for delivering calm, relaxed dental experiences. 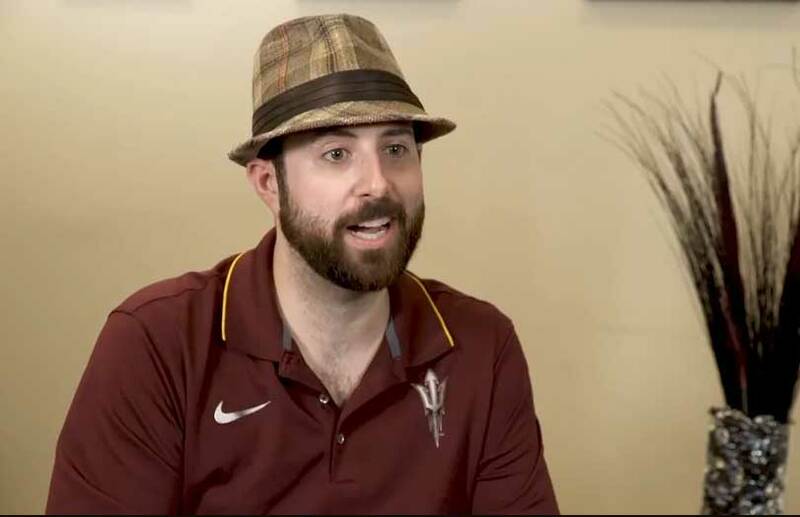 Dr. Kidess is IV sedation licensed and certified, offering you the ultimate in comfort during your time with us. We incorporate advanced technology like CEREC® restorations, laser services and 3D digital imaging to create the life-changing outcomes you need to be healthy, function better and look absolutely amazing. 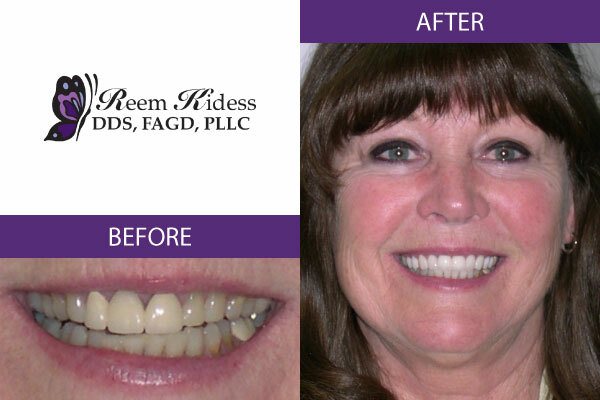 Experience the stunning smile and quality of life you were always meant to have. 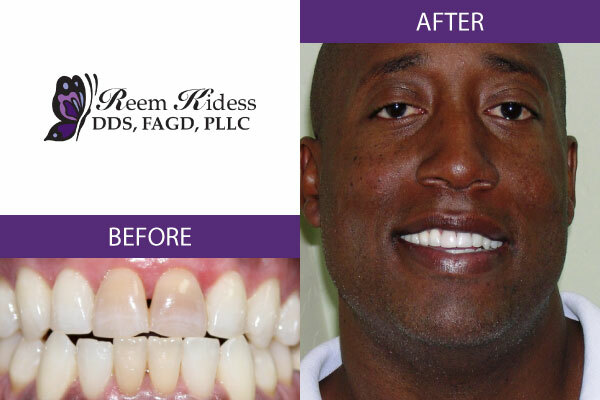 Learn more about our comprehensive smile makeover services by contacting our friendly team today!